1) Connect to DEV_OIM using sqldeveloper. 3) Remove content of EIL table. 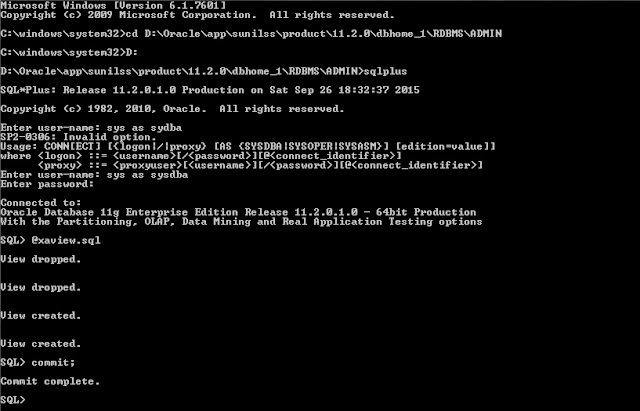 Run the command DELETE FROM EIL then COMMIT. 4) Install the connector. Now it get installed successfully. Please follow the steps to solve this error. 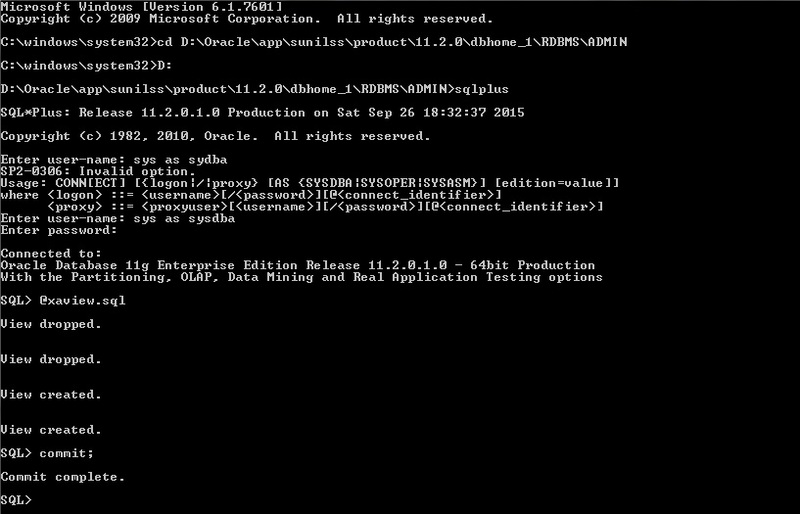 1) Start the command prompt and navigate to "D:\Oracle\app\sunilss\product\11.2.0\dbhome_1\RDBMS\ADMIN"
2) Type the command sqlplus and provide the username and password. Connect as sysdba user. 3) Run the command @xaview.sql as shown in figure below. 4) The error will resolved now.